After an unhealthy back-and-forth relationship with Amigo Chui (崔建邦), many thought Natalie Tong (唐詩詠) would find happiness with Tony Hung (洪永城). However, Tony didn’t seem ready to settle down. After more than two years together, Natalie and Tony finally called it quits. Tony seemed to have already moved on and is rumored to be dating model, Inez Leong (梁諾妍). 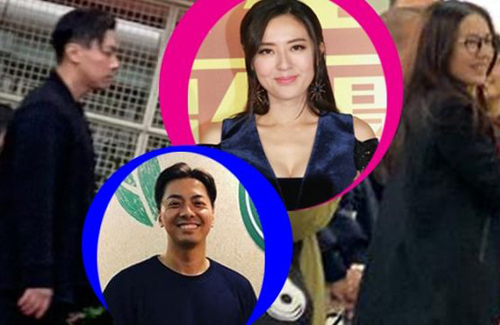 Though Natalie was also previously linked to executive director of Sun Century Group, Andrew Lo (盧啟邦), and educational consultant, Samuel Chan (陳思銘), neither relationship was confirmed. A new man may have entered Natalie’s life. Rich heir, Cheng Tsz Bong (鄭子邦), who was previously in a long-term relationship with Elaine Yiu (姚子羚), was spotted doing charity work with Natalie. In comparison to his notorious party boy image, Cheng Tsz Bong seems to be taking the nice guy approach with Natalie. First it says Roxanne Tong and him now Natalie Tong?